This perfect combination of sweet corn and salty feta will make the perfect dip for your next party. 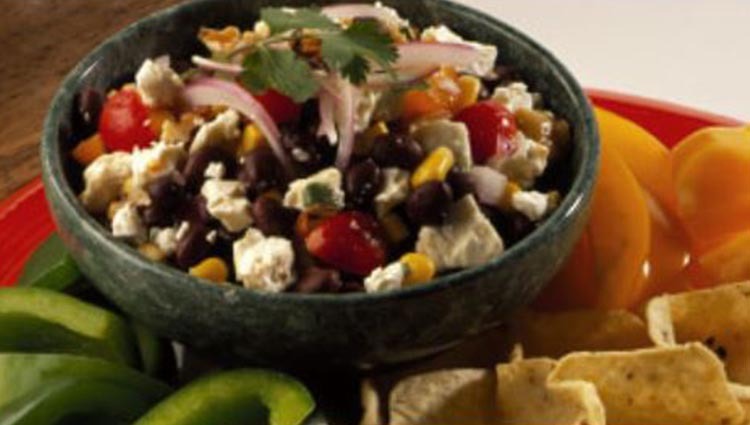 In a large bowl, combine all ingredients except feta, walnuts and accompaniments. Cover and let stand for 1 hour to let flavors blend (or refrigerate and bring to almost room temperature to serve). Add the feta and walnuts; lightly stir before serving. Serve with corn chips and red, green and yellow bell pepper chunks.